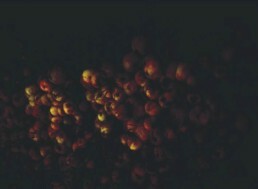 In Blera Maila I have photographed fallen apples from the meadows in Engadine, as an homage to the still life paintings of the Baroque. The formal and symbolic conventions, the technical innovations, and the powerfully charged imagery of still lives are a source of inspiration for the play of light and darkness in my images. 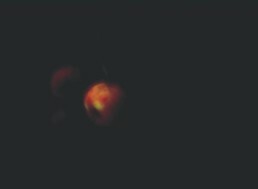 The photographs are restricted to apples alone in order to create a harmonic composition where shape, lighting, and texture create the formal variety and reflect on the state of elemental transitions. They portray the instability and fragility of life, as well as the powerful drive of nature. The project reasserts a traditional genre through the medium of photography and aims to add a symbolic layer to contemporary imagery and our imagination of the passage of time. 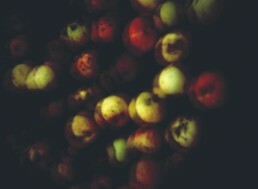 Inkjet print on cotton Fuji paper, variable dimensions, 2010.